Carmel is the mission's second location. It was first established in nearby Monterey, California near the native village of Tamo on June 3, 1770. It was named for Charles Borromeo, Archbishop of Milan, Italy. 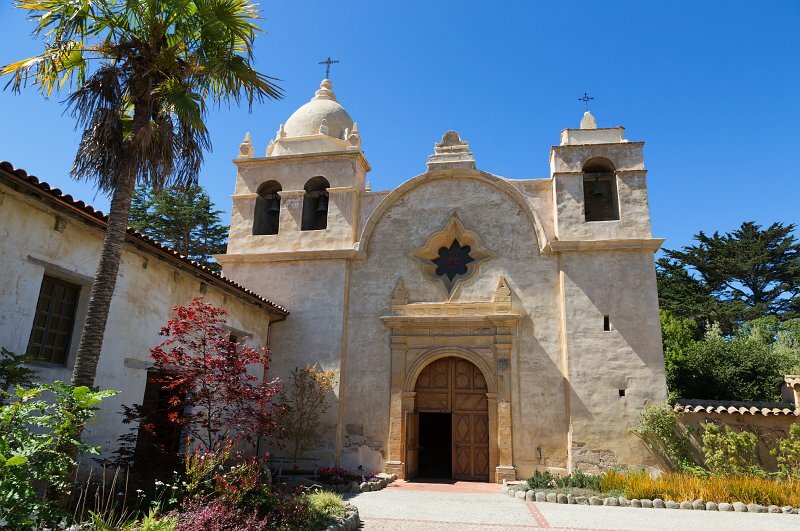 When the mission moved, the original building continued to operate as the Royal Presidio chapel and later became the current Cathedral of San Carlos Borromeo.